In 1999, having just been on a diving trip on the Jane R off the East Coast of England, I answered an advert on the UK scuba newsgroup requesting information on the Pilsudski. The Pilsudski at 14924 ton and 162 metres in length is reputedly the largest wreck off the Yorkshire Coast. 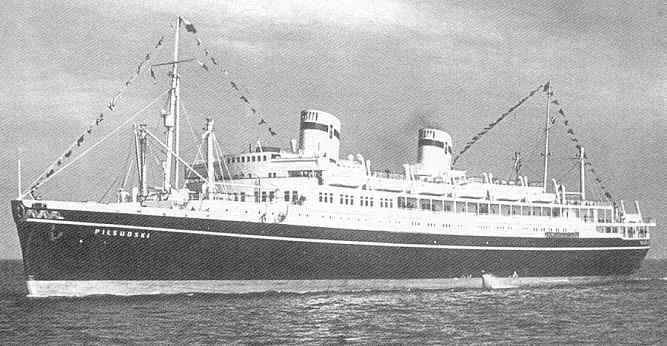 She was a liner, built in Italy, to run between New York and Poland. At the time of construction it was very sumptuous, being one of the first ships of its type with an indoor swimming pool. It was lavishly decorated by contemporary Polish artists. At the outbreak of war, when Poland was invaded by Germany the Liner was in the UK. As part of the war effort, it was converted in Newcastle to carry troops. It was on its first journey from Newcastle to New Zealand, when, at 4:36am on Nov. 26, 1939 it struck a mine and sank, approximately 25 miles from Withernsea. At the time there were 163 crew (including 7 British sailors) onboard plus soldiers - the exact number of which is still unknown. There is also some speculation that more passengers boarded the ship just before it sailed. Captain Mamert Stankiewicz (shown right) was one of the last people to leave the stricken ship, and clung to a life raft until he was rescued by a ship travelling to Hartlepool. Unfortunately he later died from hypothermia, and is buried in a cemetery in Hartlepool. Jan, (Janek Ruszkowski) the chap whose advert I replied to, also a diver, was interested in the ship for a number of reasons. Firstly the ship was named after. General Jozef Pilsudski who was the leader of the Polish army, and was famous for throwing the communists out of Poland following the First World War. After the Second World War the communists in Poland were not too impressed with his name being bandied about, and the name Pilsudski was pretty much repressed. Secondly, it was only after WW1 that Poland got an access to the sea, (The Baltic Sea). This was after almost 110 years of being land locked. Consequently Poland didn't have a fleet nor any experience to operate either military or merchant shipping. The country would have to start building its fleet from the very beginning. Jozef Pilsudski took on this task. 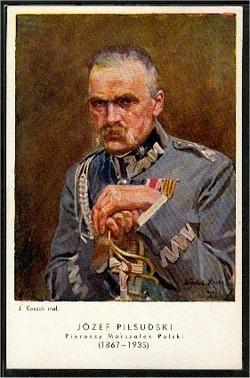 He assume command of all Polish armed forces and became "First Marshall of the Polish Republic". Jan had read about Pilsudski and other Polish heroes and was fascinated by Polish shipwrecks and maritime history. We corresponded on and off for a couple of years. Late last year, Jan tried to put together a team of divers to travel across to Hull to dive the Pilsudski, and make a documentary for Polish TV. Though several companies were interested, they could not finance a full trip. During this time I had approached the BBC, mainly as I thought it would make an interesting local news article, and be good publicity for the club. I had several meetings with the BBC, who were very interested, but unfortunately wanted me to do all the organising! To cut a very long story slightly shorter, due to lack of funds it all fell flat, and the Polish expedition was shelved. Jan finally decided to come over with his girlfriend, and I organised accommodation, and a plan to get him to the dive site. Considering all the things that could have gone wrong, we were extremely lucky! I collected Jan from the bus station on Friday night, after a 33hr journey from Warsaw. At 8am on Saturday, I collected him and his kit, and off we went to Bridlington. Compare the underwater photos below with the bow section above. For those of you planning a dive on this wreck be prepared for a long trip. It is some 50 miles out from Bridlington. Luckily we had perfect conditions, a flat sea, and no wind. We loaded up John Fuller's RIB, the Tai Pan, with all the gear, 7 divers and an additional 100 litres of fuel. After some initial problems with the GPS we were underway, and after traveling for just under 2 hours arrived on site, and immediately spotted the buoy from Kimberly that Mike Wallace had left from his last trip. After hooking up to the buoy, we discovered we were already coming up to slack water, so the first wave of divers, including Jan, kitted up and went in. Whilst the boat was relatively empty, I busied myself with the not too simple task of refueling the tanks. It is surprising how lumpy a flat sea is when trying to pour fuel form a jerry can into a funnel at shoulder height! About 40 minutes later, Jan surfaced, and I kitted up with my buddy to go in. I was a little concerned that he was very quiet, and that it had not lived up to his expectations. On descending the shot line, at 15m, the bow section was visible some way below. The visibility was an excellent 10 to 12m. The wreck sits on a broken shell bottom, which gives a huge amount of reflected light from the surface, improving the already good visibility. We swam to the bow, which leans over on it's Port side, and inspected the distinctive decoration on the bow. The ships name is also visible, though everything is covered in soft corals and Dead Men's Fingers. As we worked our way towards the stern, we found that the wreck had collapsed, the stern section being some way off. Along with the many crabs and lobsters, intact portholes can be seen in the outer hull. These are well bolted on! Resting on the seabed can be seen huge square windows, which would have adorned the salon area of the ship. These are very impressive being constructed in brass and originally standing some 4-5 feet high. Swimming across the debris field at the rear of the main bulk of wreckage, a number of compressed air cylinders can be seen in rows. All are rotted through, but all have brass valves fitted, which shine from the polish many divers have given, running their hands over them. Just off the wreck, in the sand, I spotted a large porthole, intact, except for some of the glass missing. Much to my surprise it lifted free from the sand, with only a small amount of (very sharp!) rusted metal where it had once been housed in the superstructure. I immediately thought that, on top of everything "coming right" for Jan, this would top it all, and he would have a new item for the maritime museum back in Warsaw! I attached the lift bag I had, and sent it to the surface. It was with a certain amount of disappointment, (and to Jan's horror!) that I later had to cut the line suspending the porthole at the surface, as the crew had difficulty retrieving it into the boat. Ah well, there's always next time! Later, Jan told me that he was overwhelmed by the generosity he was shown by club members, that we were able to live up to my claims, and arrange for possibly the best day of the year to make it all happen. 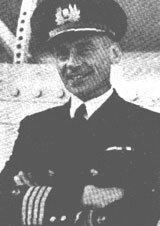 The reason for his quietness back onboard was that he had accomplished a lifetimes ambition and was inwardly reflecting on the experience.